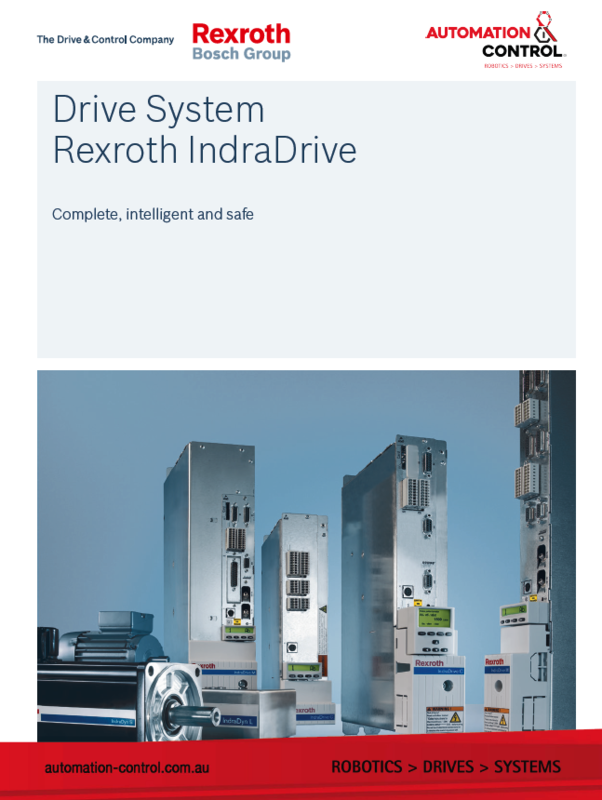 Automation & Control supply off the shelf or customised Rexroth IndraDrive Technology and Rexroth IndraDyn Motors to suit a variety of requirements. Safety on Board - Safety technology certified to EN 13849-1 Cat. 3 PL d and EN 62061 SIL 2, protect machine operators while the drives are in motion. In contrast to conventional safety designs, there is no longer any need for motor contactors, additional speed monitors or frequent power shutdown using the line contactor. Integrated motion logic with IEC 61131-3 compliant PLC - Motion logic with IEC 61131-3 compliant PLC can be integrated as an optional feature that consistently applies open standards. This makes it easier to bring in customer know-how and saves on higher-level control systems and personnel training courses. 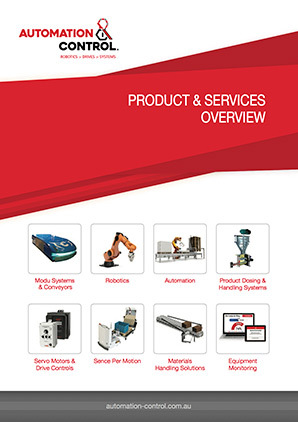 Integrated technology functions - The technology functions can be configured on the basis of motion logic to perform a wide and diverse range of process-oriented tasks. This does not require any programming knowledge whatsoever on the user’s part. Open interfaces - Internationally recognized interfaces are available for communicating with higher-level machine control systems: sercos, PROFIBUS, Multi-Ethernet (sercos, PROFINET IO, EtherNet/IP, EtherCAT), CANopen, DeviceNet, analog and parallel. A single software for all tasks - The engineering framework, IndraWorks, carries you through all the steps involved in project planning, programming, parameterization, operation and diagnostics. The newly developed generation of IndraDyn motors meets all the requirements of modern factory automation through its diversity of design and unique performance. Synchronous and asynchronous servo motors which are more compact & more powerful. Servo motors designed for potentially explosive areas –conforming to ATEX & UL/CSA. 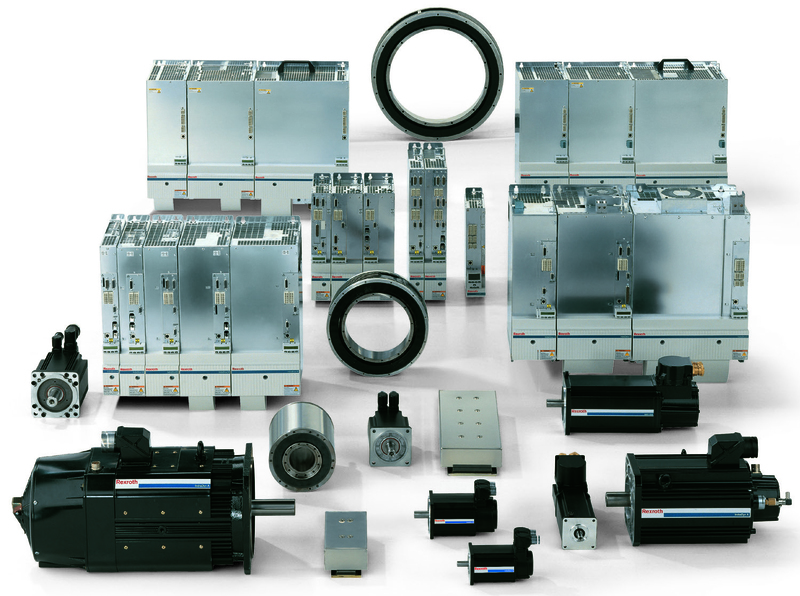 Our drives can also be supplied with full automation Bosch Rexroth products incorporating PLC Control and Servo Motor Drives. We offer site consultation, installation & maintenance for all your requirements.